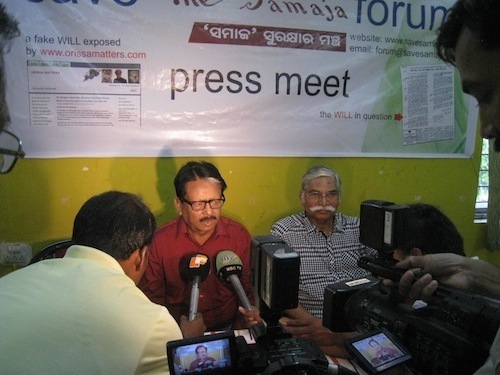 The urge to stand with the people’s paper of Orissa – The Samaja – and to extricate it from the labyrinth of problems created by vested-interest members of the Servants of the People Society (SoPS), has given birth to ‘The Save The Samaja Forum’, said its joint conveners Subhas Chandra Pattanayak and Prasanta Patnaik, in a Press Conference at Bhubaneswar this evening. Immediate Investigation needed into whether or not Gopabandhu’s will is fake. The Samaja, the premier daily of Orissa, object of people’s emotional attachment as the carrier of Utkalmani’s memories, is in a devastative quagmire due to rampant corruption and internecine quarrels amongst members of SoPS, which has kept it under its illegal ownership since the sad demise of Pt. Gopabandhu Das. During research, we have stumbled upon “an exact photo” of what is claimed to be the ‘will’ of Pt. Gopabandhu Das. But on examination we find that it does not carry Gopabandhu’s signature and therefore we suspect that it is a fake will. Unless the will is proved to be genuine, it would no more be correct to accept the SoPS as owner of The Samaja. So, we call upon the SoPS to make public the genuine will of Pt. Gopabandhu Das, if any, to convince the people of Orissa that it is in rightful occupation of the Samaja and the Press and properties thereof. We urge upon the State Government to take over the Samaja and the Press and all its related and generated properties as unclaimed properties of Pt. Gopabandhu Das and to hand over the Samaja and the Press with necessary running capital to the registered association of journalists and non-journalist employees of the Samaja for continuation of the publication of the paper and to support the arrangement with necessary regulations. We further call upon the Government, under such circumstances, to immediately treat the SoPS members as unauthorized trespassers and by debarring them from further handling with the funds and movable, immovable properties of the Samaja, to launch a CBI investigation into embezzlement of its funds so far and to take steps for recovery thereof. Investigations conducted by Dr. Nilakanth Rath had exposed huge financial irregularities when Dr. Radhanath Rath was at the helm of affairs. He had even exposed how the President of SoPS had misappropriated huge money through false records of medical treatment. 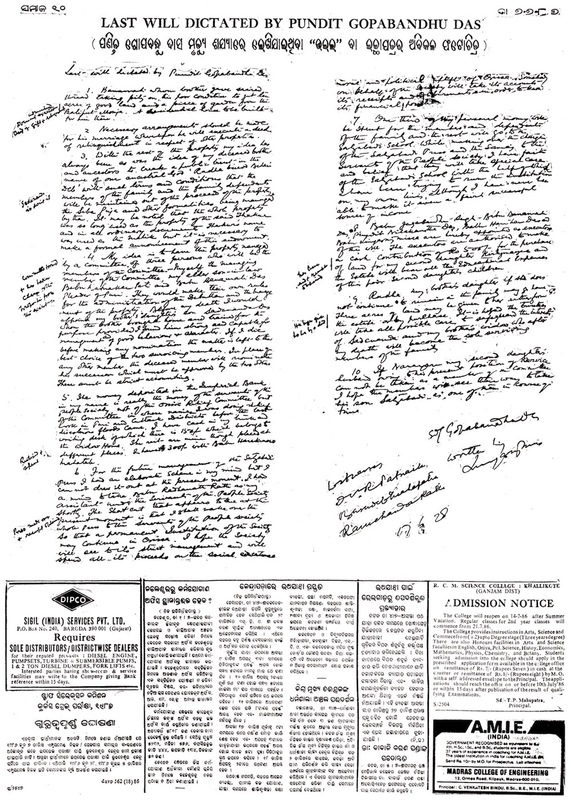 When the practice of corruption did not recede and several instances of misappropriation of the revenue generated by the paper were brought to focus by informed persons and despite police action against a once blue-eyed boy the SoPS leadership stayed untouched by the law, the impact thereof continued to create a free for all environment to indulge in embezzlement of the income of The Samaja. Intriguingly, the SoPS tried to suppress the rising discontentment over the economic offenses through a stage-managed inquiry. Accordingly, an inquiry committee was constituted under chairmanship of Justice Arijit Pasayat. In his report, Pasayat, a trustee of SoPS, has shown how a life member of SoPS and some of the employees obviously led by him did their best to obstruct the investigation. Yet, despite evidences of huge misappropriation of the funds, and illegalities resorted to in various transactions, and corruption involving crores of rupees, the Pasayat Committee did not recommend either any means of recovery or penal prosecution. It seems, the Pasayat Committee has helped the offenders escape with the loot. So, an investigation by the CBI into the rampant financial irregularities and embezzlements going on in The Samaja under the cover of the SoPS is unavoidably urgent. The Save The Samaja Forum call upon the State Government to take over the Samaja management to facilitate such investigation. From cases registered in Police Stations and instituted in civil courts, it is clear that corruption sic passim, internecine quarrels and rivalry have divided the SoPS into two belligerent camps. 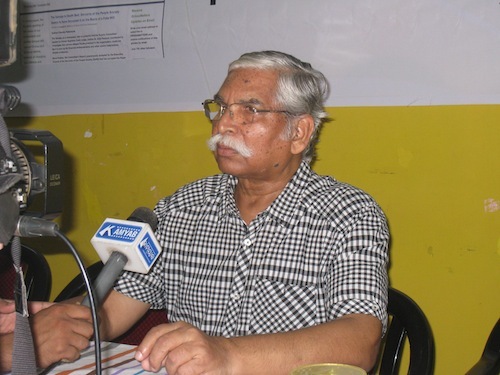 With the help of a local life member in whose context the Pasayat Committee had used words like “his life-membership has to be terminated”, the fraction led by Manubhai Patel, who at the time of Dr. Radhanath Rath had taken huge money from The Samaja fund for his personal political electioneering in Gujarat – but had not returned the money despite repeated notices – has captured the Press and the Paper. This SoPS fraction, the locus standi of which has been challenged in police as well as civil cases instituted by the officiating President Kishor Chandra Tripathi, has resorted to acute unfair labour practices against the leaders of the Utkalmani Newspaper Employees Association by transferring its President to an outside of the State station and by arbitrarily reshuffling the active members of the Association / journalists and non-journalist employees in order only to create panic in them and to push them into pusillanimous conditions so as to enforce their hegemony on the newspaper set up. The labour law implementation inspectors should have stopped this unfair practice; but they are seemingly overwhelmed by engagement of ex-IAS and IPS and IFS officers by this fraction in various positions in matter of the paper and thereby perhaps, the police is also browbeaten into silence. If this design is not defeated, it would so much demoralize the workforce that The Samaja can hardly be recovered from the injury inflicted upon it by the miscreants. This Forum, therefore, calls upon the state government to immediately intervene in the matter and to save the paper from the unholy nexus of illegal occupiers and retired civil servants.